If you are playing this fortnight at Roland Garros it is quite possible you are carrying a screwdriver, pliers and tweezers. We're talking metaphorically here. Because you have to adjust your game a little. Tweak it. Everything is different at this Grand Slam. You eat snails for lunch and then slide in the afternoon. If you can't produce revolutions, of spin, kindly cross the channel. On tennis' clay courts more fine-tuning is required than by a wandering orchestra. Of course footballers change their studs if a field is wet and golfers may include a different club depending on a course. But this game is fussier than an old tailor. In Paris, players change surface, gut tension, balls, shoes. They get a new bounce, different rallies, altered spin and a drizzle in their eye when they are serving. They even bring an extra towel just to put underneath their designer bags else the clay, which creeps into their hair, clothes, socks, shoes, gets in there, too. "It's awful when you get back to the room," says Marion Bartoli. Yes, indeed, suites full of sand. Bartoli is the perfect person to ask to rummage through this Open's eccentricities because, well, she is French, and whip smart, and played there 13 times and dispenses wisdom plainly as a Fox Sports pundit. The Australian Open had a roof over Rod Laver Arena in 1988, but almost 30 years later the unhurried French are still contemplating one. Clearly they are purists who believe this is an outdoor sport and anyway clay absorbs water and lets you play on. With a little sulking, of course. 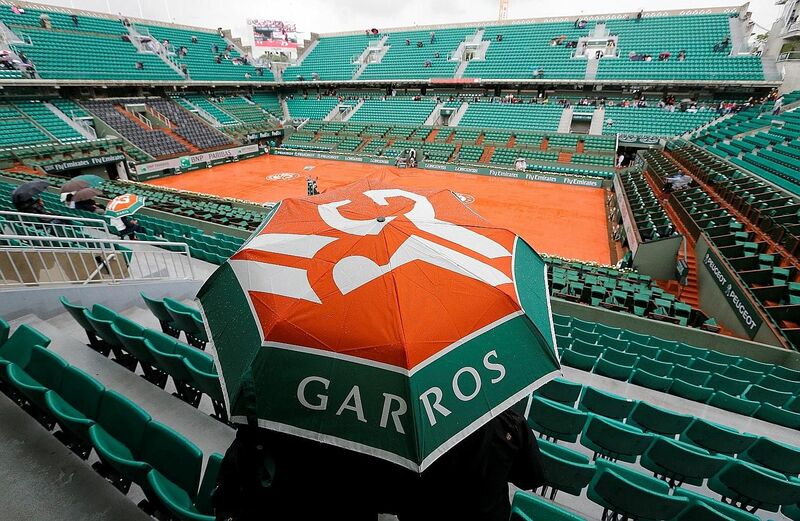 Or as Agnieszka Radwanska once said: "How can you allow players to play in the rain? I cannot play in those conditions." The Open will shrug. Adjust, or go home. Anything that can make superstars whinge cannot be entirely bad, but the conditions can get trying. "The ball gets wet," says Bartoli, the 2013 Wimbledon champion, and the balls get heavy. You heave away and all you get is "pain in the shoulder and wrist". It's also cold some days, and a bit windy, and "your body freezes on changeovers". If you are feeling sympathetic right now, kindly consider that the winner will earn €2 million (S$3.09 million). There are no lights here either, just the sun which tends to hide. At the US Open, says Bartoli, you know you will finish the match because they switch the lights on, but here "you keep looking at the referee, will he stop or continue?" and you might want to rush and finish the match fast or be leading and have to return the next day with your advantage lost and rhythm gone. But this is sport, isn't it? This is what athletes deserve when they say they relish challenge. This is skill: attempting to hit a line, repeatedly, while using a different ball - Babolat - which might demand that you string your rackets differently. This is why Bjorn Borg's name should be present in every Greatest discussion because for three straight years he won on Parisian clay and two weeks later strode onto greasy, low-bouncing grass, grew a Viking-approved beard and tamed serve and volleyers. He could open an adjustment bureau. Borg had fine footwork which is mandatory in Paris at both nightclubs and on courts. Gael Monfils, a fine dancer, has mastered the clay-court slide and Bartoli swears he carries 10 pairs of shoes. She was happy with three pairs: one for practice, one for play, one in reserve. Bartoli will tell you this is "the best clay in the world" because it is made of fine grain. When ball meets this dust - 1.1 tonnes of clay on each court - it slows down, the points stretch on like bottles of wine and patience is not a bad idea. But, says Bartoli, "you can only have patience if you are physically strong enough". To grind requires the resoluteness of mind and ruggedness of legs. In an offensive game, defence is a virtue here. Nadal wins because he carries an invisible version of Wonder Woman's shield: He blocks everything because he can get to everything. "I saw so many finals," says Bartoli, "where Roger (Federer) couldn't find a solution to hit a winner." But shields get old and young men, like Dominic Thiem, throw lightning bolts. On the beaten red earth the design of rallies changes, but more for men explains Bartoli. "We (the women) almost play the same game here," but the men add a heavier spin. With Nadal you can "see the extra topspin on his forehand compared to Wimbledon". There, she states, he might hit it 50cm above the net, but in Paris it will be a metre and more. Vast spin, high clearance, huge bounce, big trouble. 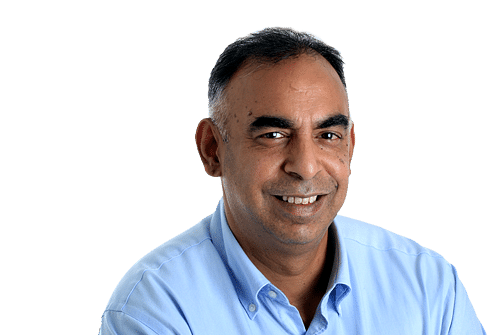 If there is a final quirk it is the crowd, who have been labelled "stupid" by Nadal's Uncle Toni, "psycho" by Serena Williams and in the 1999 final offered Martina Hingis their full menu of boo, whistle, hiss, hoot. But Bartoli explains the crowd neatly: "You have to earn them." The fans' affection, she says, will not be given right away. "But if you show them your passion, they will support you all the way." Else, please understand, you will just have to adjust.